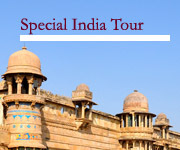 Tour Destination: This tour includs the cultural part of coastal and western Orissa, wild life of Satkosia sanctuary, Mahima religion sadhu, unique budhist place of orissa, two heritage palaces and colourful tribal culture of orissa. Upon arrival meet our representative at airport/ railway station. 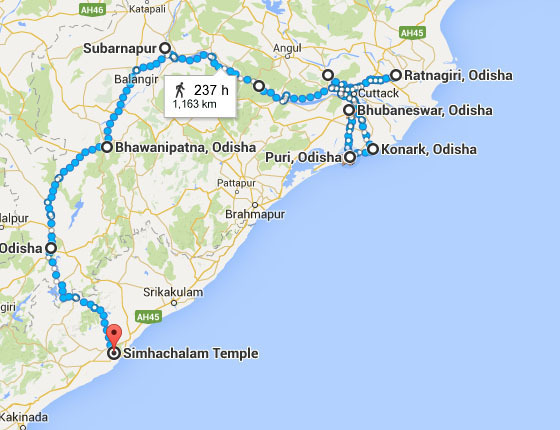 Then transfer to Puri, enroute excursion the rock edict of empire ashok-3rd c BC at Dhauli. If time permit the visit the unique open roofed 64 Yogini temples at Hirapur (out of four in India that is one of them). Check in a nice hotel on beach and relax. Visit the classic part of Puri by cycle rickshaw trip such as cremation place( swargadwar), old pond, bit walking on old street , marshal art place and also Jagannath temple( non Hindus are not allowed in it , so they can see that temple on the top of old library ). Meet the artisan at their village at Raghurajpur-14km from puri, and excursion their traditional pattapainting , palm leaf engraving , tusser silk painting etc. also enjoy the classical dance – Gotipua, at their village ambiance, arranged by us. Afternoon visit the world famous sun temple at Konark- excursion the language of stone on 13th c AD. If time permit see the illumination of temple. Overnight stay in the same hotel. Morning Checkout and proceed to Dhenkanal enroute explore the ancient temple tour such as Parasurameswar, Mukteswar, Vaital, Rajarani, and Lingaraj. Note: Especially in Lingaraj temple non Hindus are not allowed so one can visit the temple on top of platform. Check in the heritage palace at Kilajodi ( choudwar) .enjoy the royal hospitality during the dinner at that palace. 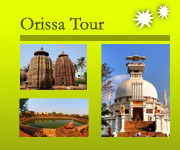 Proceed to Buddhist diamond triangle of Orissa- Lalitgiri, Ratnagiri, and Udaygiri. Excursion there ancient Budhist University where it had been practising the study since 1st c AD to 12th c AD. 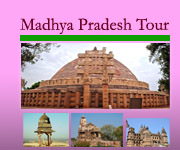 Such as great Monastery, Stupa and chaitya with small museum. Overnight at the Royal palace of Dhenkanal (heritage Property). Morning drive towards satkosia wildlife sanctuary, check in a eco cottage Afternoon hiking the core area to meet the wild animal and birds on nature (late afternoon chances of sighting is more). Morning boat ride at Satkosia Gorge and then drive for Sonepur enroute visit the star shaped group of ancient temple at Bauda. Upon arrival sonepur check in a hotel and enjoy the sunset on the river bed. Morning enjoy the sun rise while on boating in Mahanadi river. Sightseeing of different ancient temple . afternoon visit the unique textile village of Orissa- famous for Bomkai textile pattern. Also visit the ancient shiva temple-10th c AD at there. Return back to hotel for overnight staying. Morning drive towards Bhavanipatna. Enroute visit the Asuragarh. Upon arrival Bhavanipatna check in a nice Heritage Palace. Meet the Kutia Kondh tribe at their village and explore their lifestyle while hiking at their village of lush green and high hill area (but motareble road is there up to the village). Afternoon departure for Desia Kondh tribe at their village of lush green and high hill area (but motareble road is there up to the village). Overnight camping over there. Morning excursion the life style of Desia kondh at their village. Then drive towards to Lanjia Saura village meet the Lanjia Saura tribe at high hill area ( the vehicle can proceed upto their village). After visit their idital and settlement in the beautiful velly return back to Rayagada. Check in a nice clean and comfort hotel at there. Meet the colorful Dunguria Kondh Tribe at their market at Chatikona, then drive towards Jeypore enroute visit the Kuvi Kondh tribe at their village and paraja tribal market near Koraput area. Then proceed to the friendly Mali tribe village and camping over there. ( the people are very friendly, during camping enjoy the mouth watering hygienic food with tent and all mattresses and enjoy also the tribal song by the young tribal females arranged by us). Meet the most colourful Bondo tribe at their weekly market at Onkadelly and then after enjoy the gorgeous waterfall at Duduma and explore the life style of Gadhava people at their village and then drive back to Jeypore, free evening for self. Morning after refreshment drive towards to Visakhapatnam, ( the nearest airport and main railway junction). Enroute visit the Jagannath temple at Koraput ( allow all religious people and camera). Then meet the potter making people at their village. The grand Kunduli Market – famous for paraja, Mali, Rana tirbe. Check in a nice hotel on beach in Visakhapatnam. After breakfast checkout and departure towards airport for your onward destination. Note: 1:- During camping the tent with mattresses and food been arranged by us. 2:- Camping tour in the tribal area is safe, even the single female tourist can visit safely. 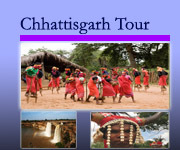 We are the only tour operator who organize the tented accommodation in different tribal villages of Orissa and Chhattisgarh . Welcome to this part of world and encourage the sustainable tour.